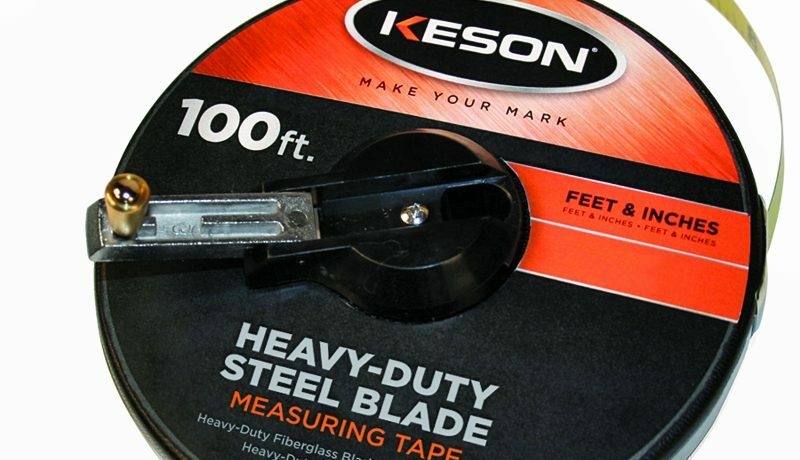 For over 40 years, Keson steel tapes have met the highest standards of accuracy for surveyor quality measurements. They resist breakage and damage under the toughest field conditions. We understand that these tapes are critical to your profession. 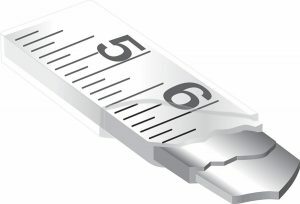 That's something we take very seriously, which is why we supply the best possible steel long tape measures we can. Keson nylon-coated steel tapes are constructed with a double layered .2mm nylon, permanently bonded over a center core of 13mm steel. Our multi-layer construction assures corrosion resistance (even to salt water) and provides at least three times the usual tape life. 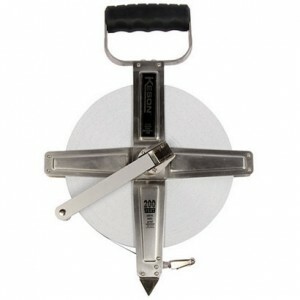 Stainless Steel (SNR), 3X High-Speed Rewind (NRS) and standard 1X rewind (NR). Double riveted or screwed cases, metal reinforced handles and shovel-style, rubber grips are standard on all of our offerings. 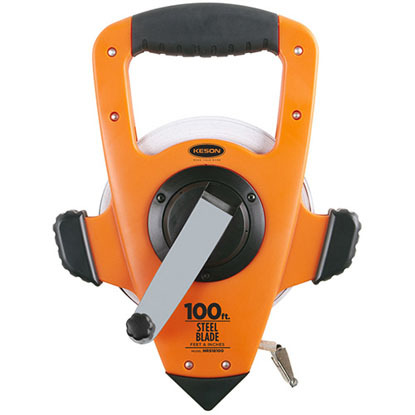 3/8-inch wide blades are about 10-20% lighter than 1/2-inch wide blades, without sacrificing durability. The thinner blades are also less likely to drift if the wind kicks up. 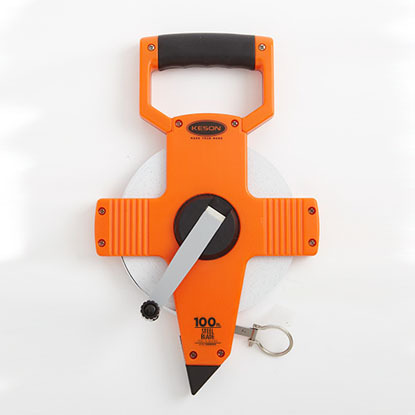 Keson offers the widest product selection of double nylon-coated blades. 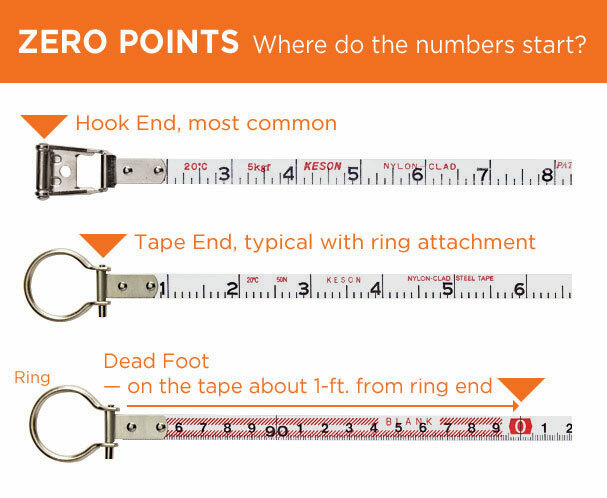 Units, attachments and zero points vary because of the precise needs of our many customers. 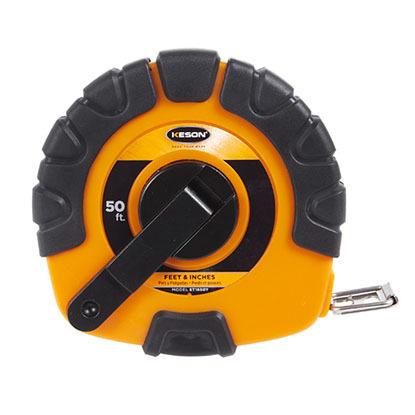 Keson Perma-Clad steel tape measure refills are exact replacements. They are manufactured with the same stringent standards and specifications as the original tapes in our open reel cases. Replacement blades are available for most of the tapes. Replace the letters in the blade title with “NRF” (for Nylon Refill) and use the same blade number. E.G. an SNR 10300H replacement blade is NRF 10300H. For the NR 18100 the replacement is an NRF 18100. Stainless Steel Housing, Nylon-Reinforced Steel Blade.